Wash away the Old, bring on the new! A good scrub is just the answer. 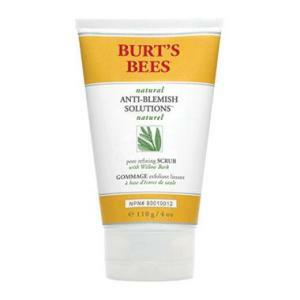 BB tip: Use scrubs sparingly. Most facial and body scrubs should only be used 2 to 3 times a week and are best when used in the shower when your pores are open and skin is wet. BB tip: If using a self tanner always use a scrub first to smooth away dead skin cells and prepare the skin for a long-lasting and streak free application. Scrubs can also be used to remove self tanner that perhaps you didn't apply correctly! Wake up your skin for a fabulous day! This product is tried and true! Great price point-award winning-great results. You know Basic Beauty would never want you to walk out the door in your new sandals with cracked heals! Chapped winter lips-be gone! All the new spring lipsticks will go on more smoothly and last longer.